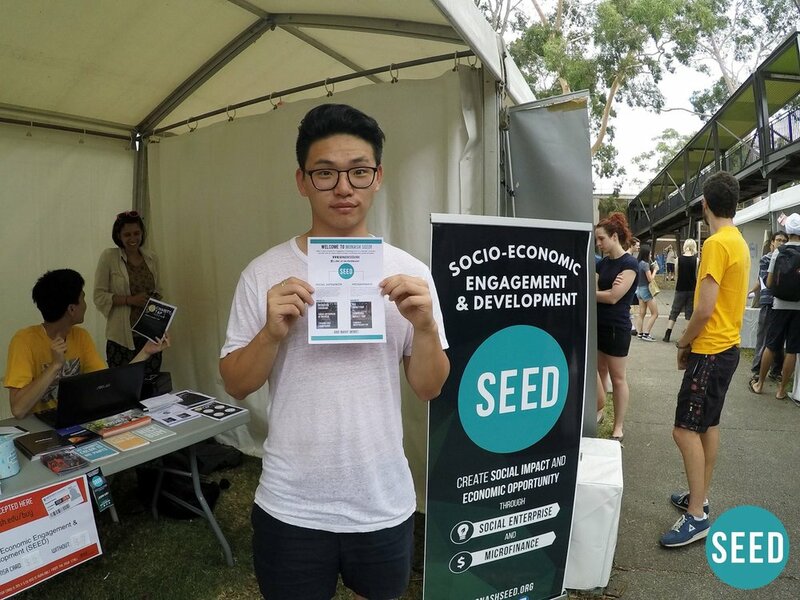 Monash SEED is a university club that aims create positive social impact through social enterprise and microfinance - encouraging student social entrepreneurship through The Incubator accelerator program and microfinance travel programs to Fiji and Cambodia. Our objective with the re-branding was to bring a simpler, more intuitive visual representation of who we are and what we do - a graphic set that could last the next five to ten years. The rounded logo and typeface brought a sense of community and represents the grassroots organisation that we are. I co-designed this branding with Elaine Seow. I joined the organisation as a graphic designer and noticed that the logo had something strange in the background - I looked in closer and noticed there was a person in the image! But what’s the significance behind having a photo in a logo?